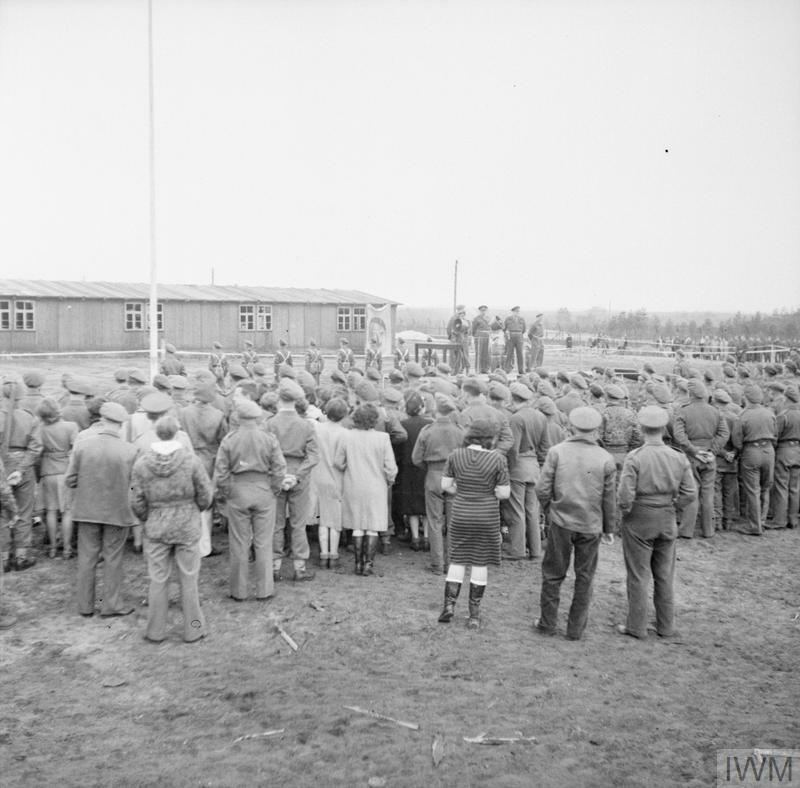 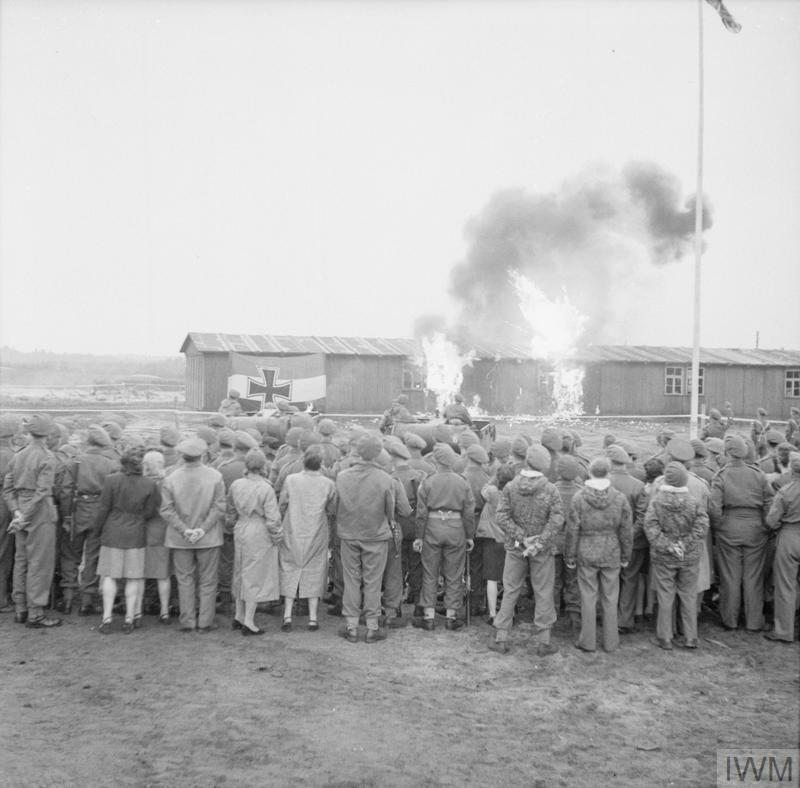 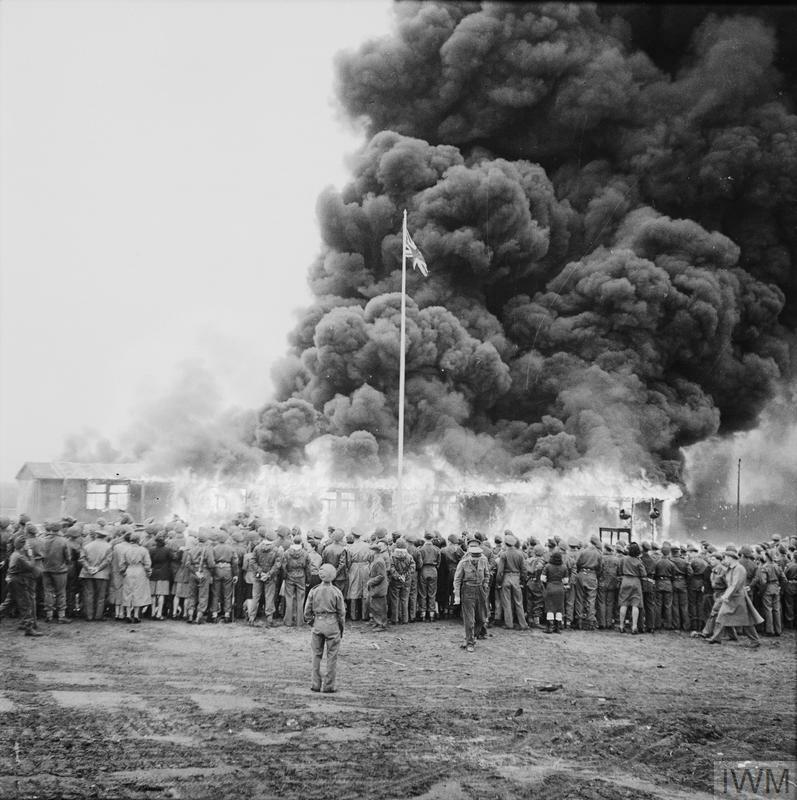 Crowds watch the destruction of the last hut at Belsen, two days after the camp was finally evacuated. 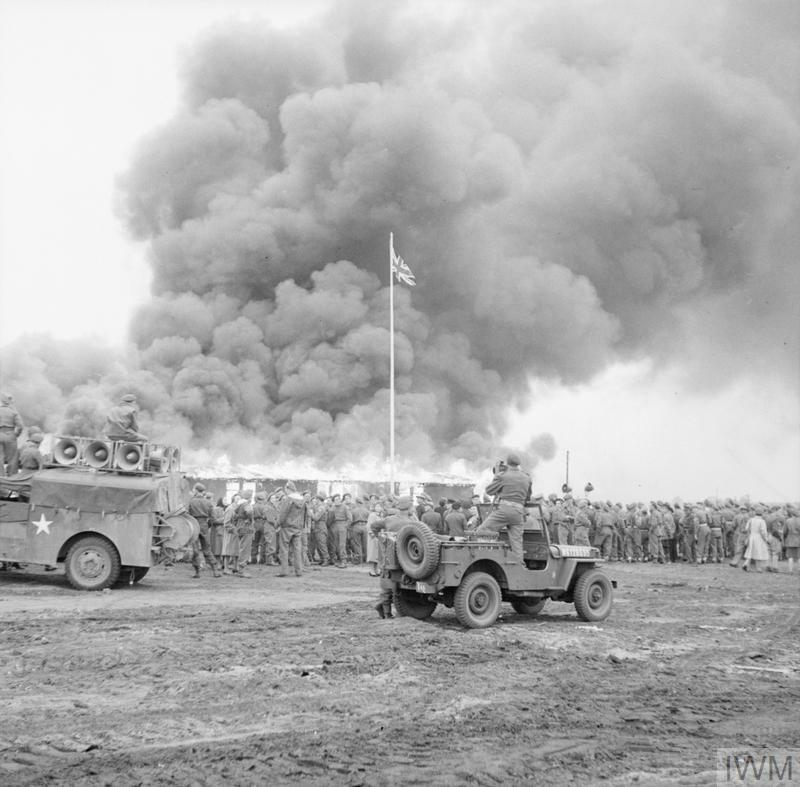 In the foreground, a cameraman of the Army Film and Photographic Unit films the event from his jeep. On the left is a loudspeaker van.